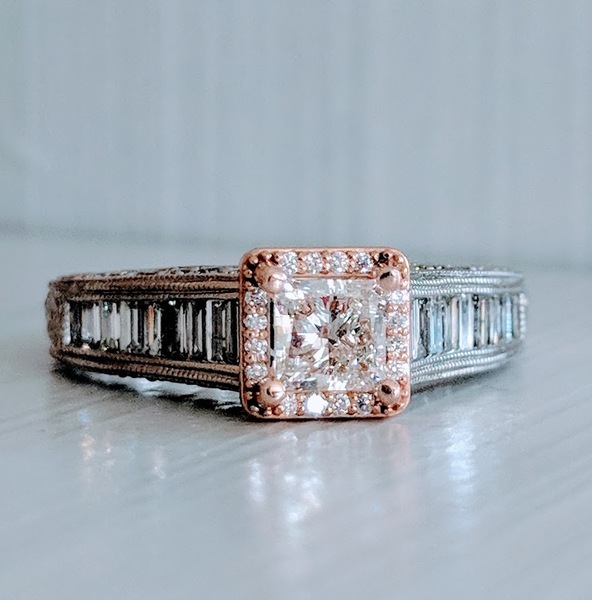 This 14k rose and white gold diamond engagement ring has a 0.55 carat (lab grown REAL diamond, comes with IGI diamond grading certificate) princess cut center and 0.75 carat of diamonds in the setting. The setting was originally from Jared and sold all by itself without the center diamond or custom halo for $2500! Currently a size 7 and sizable within reason.